It should come as no surprise to anyone that I haven’t yet managed to come up with a decent synopsis for Ghostkiller. I haven’t come up with one for Unbinding the Stone either, and I wrote that 13 years ago. I was fortunate enough to receive a very nice review comment from no less than Tanya Huff, in which she described Stone as being ‘remarkably complex and often very funny’. The complexity wasn’t intentional then, and isn’t now. It’s just a function of how I write. What should come as a surprise is that I’ve actually been considering self-publishing Ghostkiller, a prospect that fills me with very little pleasure. One thing that did give me some amount of pleasure was the act of designing the cover art for it, and even some of my other unpublished stories. A friend of mine at my job, before she moved on to a new company, told me about a graphics program called GIMP, which I promptly downloaded and found very confusing. But I wanted to create a cover for my Chuck fanfic called ‘Nine2five‘, so I pushed on, using trial-and-error to make the damn thing do what I wanted. I don’t think I did anything right, but still I managed to come up with this image, which has been the cover art for all three seasons of the story (over 600K words, equivalent to seven novels, written over four years). I really should have separate images for each, but I forgot how I did it, and trying to recreate this image was a daunting task. I might try it again, now. The idea for the Ghostkiller cover was pretty nebulous at first. I remember years ago talking to my publisher about it, when the story was little more than the first chapter. Ghostkiller is a story of more than a little strangeness and complexity, one of the reasons I’ll have to self-publish if I ever want it to be published. (Most publishers, most ‘entertainment industry’ types in general, especially the big ones, shy away from words like ‘complex’, and anything that hasn’t been tried and tested.) It started out as a story about ‘a man who kills ghosts for a living’, but it didn’t stay that way for long. The technique for killing ghosts was the focus of that first chapter, since ghostkilling was a unique idea, as psychic talents go. I had to show it in action, which involved swords and coffins. (Really the thing in the coffin.) My original idea for the cover was very complicated, and unworkable, at least by me. It also wouldn’t have been especially eye-catching, and that’s what covers are supposed to be, right? 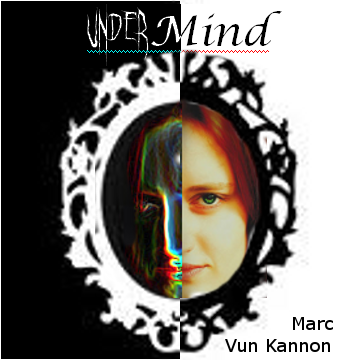 Undermind is a short story I wrote a long time ago, for a contest. The idea was to write a story of a certain length that employed a specified phrase in some way. The first time I entered the contest it was for the phrase ‘hard port’. I used it five different ways, but didn’t win. 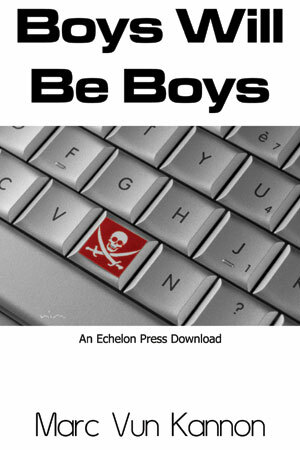 (The story was eventually released as ‘Boys Will Be Boys’, which I have just discovered is no longer available. Something else to think about releasing on my own.) This time around the phrase was ‘dark glass’, which gave me lots of ideas, most of which I’m still trying to write. In this case the dark glass was a mirror, to reveal one’s inner and darker nature. My problem with the cover is simply that mirrors as cover images are pretty trite. The story is much more original than that, but the originality isn’t really visually striking, so I swallowed my pride to come up with something that was. Hopefully I can use these. There’s more to the game of cover art design than simply making interesting images, which is one of the things that makes me reluctant to jump into the self-publishing biz. This is the way I’d go if I had to do it all over again, so I have that at least. 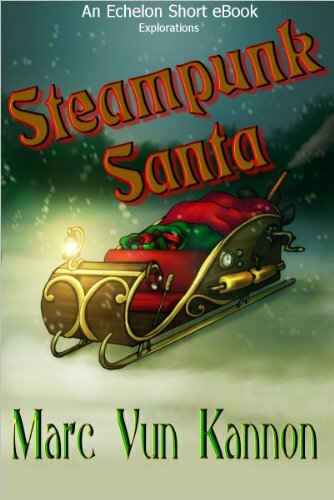 I find myself wondering if creating a cover first would help clarify the story, or make it harder to develop. Like a lot of people out there, I have favorite books that I like to re-read. One of these is Valor’s Choice, by Tanya Huff. Which I was in fact re-reading this morning, which is why I’m writing this now. In the course of the story there is a character named Strength of Arm, who is a member of a species called Dornagain (and no, I don’t know how to pronounce it). The Dornagain as a species are thoughtful and usually very large and slow. They do not commit violence, like most of the members of the Conferation. That is why they need humans among other races. The basic idea of the Confederation is that most species who have gotten to the point of expanding into space have gotten past most of the violent instincts, and so are incapable of fighting when a species expands into space that hasn’t. In self-defense they recruit younger races, like ours, and give us the tech to get into space in exchange for us fighting their wars for them. I am reminded of Gordon R. Dickson’s book Hour of the Horde, which features aliens from the interior of the galaxy who are gathering forces to confront a horde of invaders. They are able to fight, but only if they calculate that they will win. It is the Earthmen, who fight regardless, who tip the scales. And presumably go on to take over the galaxy. I am also reminded of the Uplift series by David Brin, in which some young and dynamic races from Earth are accepted into a rather static and traditional galactic culture and proceed to upset a lot of applecarts. And presumably go on to take over the galaxy. Anyway, back to Strength of Arm, rebuilding a well from the inside so that the troops protecting her will have water, when the enemy attacks and gets into the compound. She isn’t in any danger (yet), but she can hear the fighting above. She rises up out of the well, grabs an enemy fighter and throws him away. And again. Afterwards she suffers an agony of remorse for her thoughtless actions that leaves her fellows fearing for her sanity. The question is, should she? I would say she should not. From her perspective in the well, somebody was going to die. All her actions did to affect the outcome was change who died. Nor is it even made clear that they died, since she threw them away but we don’t see them land. I would also claim that she was right to do so, since her relationship to the soldiers defending her was stronger than her relationship to the enemies attacking and therefore she had a moral obligation to act as she did. From her Dornagain perspective I suppose the logic would be that since she was unwilling to commit violence in her own defense she should be equally unwilling to commit violence in defense of those defending her. I have a hard time seeing the persuasiveness of that argument, but I am also willing to entertain any others I haven’t thought of. This is an interview I did for one stop of my recent blog tour that for some reason or other never happened. 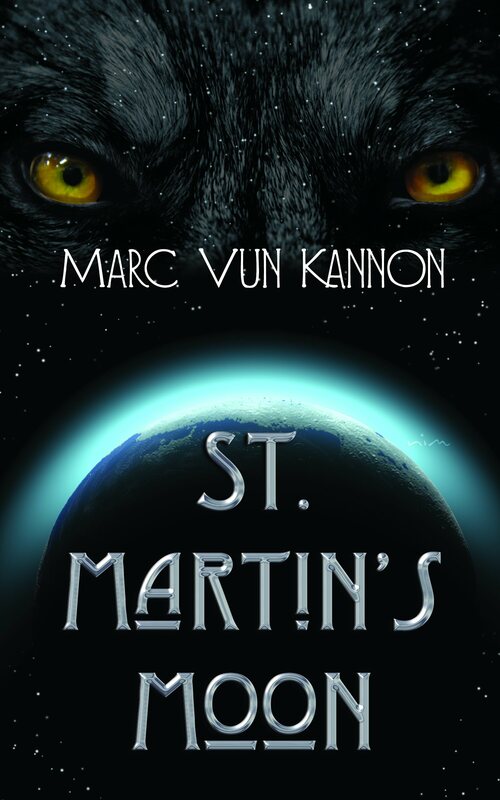 1. Who is Marc Vun Kannon and what makes you the most fascinating person in your city? It’s a small city, filled with very dull people. Seriously, I am a husband, father, and author, in that order. I also write computer code during the day. I build bookshelves at need, and I started a small travelling bookstore when none of the bookstores I could find would stock my book. In short, I’m a reasonable guy who occasionally experiences some unreasonable things, and then I do what I have to do to make things reasonable again. 2. Without revealing a deep dark secret (unless you want to), what one thing would people be surprised to learn about you? I like bluegrass music, as well as Gilbert & Sullivan. The G&S might not surprise them, though. The lyrics and extraordinarily witty and hard to sing so naturally I’m drawn to them. I love to learn patter songs (such as ‘I am the Very Model of a Modern Major General’ or ‘The Matter Patter’) and Gilbert was the master of that form. 3. What interested you to be become a writer rather than something else such as becoming a nuclear scientist? I am a computer programmer by profession, the writing is something I do whenever I can fit it in, although I’d like to reverse that. It wasn’t a question of interest, though. My stories pick me to write them and won’t leave me alone until I have. 4. Writers are readers. With which author(s) would you enjoy sharing dinner? 5. If I were stranded on a deserted island (or suffering a four hour layover at the airport), why would your book(s) be great company? It’s pretty much the same answer in both cases. My stories are about people and the events of their lives. The reader should be able to put themselves in his place, feel what he feels every step of the way. In fact the reader should have to work at it to stop it. Beyond that, one thing I want in all my books, and what I look for in other people’s books, is a story that can be read and re-read with equal enjoyment. My books tell a story about characters, not gizmos. The problem with gizmo-centric books is that once you’ve read them they’re pretty much done. You already know everything the book has to say. A character-centered book, on the other hand, is a book that you put yourself into, and the so the character and the book changes as you change. It’s not the same book the second time around because you’re not the same reader. 6. 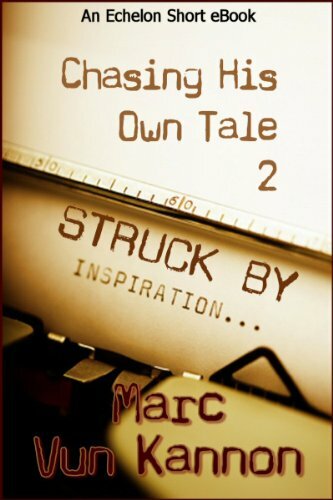 Share the Marc process of writing in regards to: idea and character development, story outline, research (do you Google, visit places/people or make it up on the spot? ), writing schedule, editing, and number of rewrites. I don’t really have a process, although as I write more I discover some techniques that work and hold onto them. I have only one real rule: If you’ve seen it done before don’t do it again. Which means I’m always looking for some unique spin to put on an old trope, and I never write the same book twice. As a reader I had any number of pet peeves with the books I read, so when I became a writer I developed a style that avoided those things, such as descriptive prose. I don’t write in my own voice, I try to present everything in the story from the point of view of whatever character is looking at it. 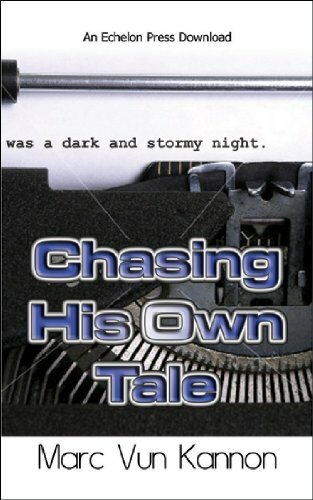 I discover the character as I write about him, spinning out his character logic to see what he’ll do. The character changes and grows over the course of the story, and these changes are shown in the way he perceives his world. A lot of people call this sort of thing head-hopping, but it’s the only way I know to show the scene, and it makes the whole process more dynamic. I didn’t used to outline, but I will try to develop places to aim for during the course of the story. If the character’s logic allows him to go there he will, although how this will happen is something I never know until I write it. Since the story can only progress based on what has gone before I have to occasionally go back and remove/add text to support the storyline as it develops, so I have very little editing to do once the story is done. Everything in there serves a purpose. I don’t know how one would compare this sort of incremental process with first drafts and rewrites, so I don’t try. Every story I’ve submitted has been a first draft. The only exception was my first novel, Unbinding the Stone, which was on a computer that crashed, and I had no backup copies, so I had to rewrite it almost from scratch. My latest novel, St. Martin’s Moon, is the only one I’ve had to do ‘research’ for. It’s a werewolf adventure set on a lunar colony, so I did a little checking into techniques that would make the colony as I presented it plausible. But my focus is on the people not the place, so most of what I needed I got from all the classic Universal wolfman movies I’ve watched over the years. My method is almost guaranteed not to work for you. Everybody has their own way of writing. I discovered mine by simply writing and doing what felt comfortable to me. The only real advice I can give is to pay attention to your life. Everything you will have to put into a book comes from there. Write the kind of book you want to read. Classes may help you refine the craft elements, but be careful they don’t also eliminate what makes your book yours. Remember, all they can teach you is what has been done so far. 8. I saw an amusing t-shirt the other day which read ‘Every great idea I have gets me in trouble.” What is your philosophy of life? Life is a story that you are writing for yourself as you live it. It’s up to you to make it a good one, and to give it a happy ending. 9. Please tell me you’re not going to stop writing? What’s next for you? As usual I have several projects running at any given time. Depending on my mood I’m working on either Ghostkiller, a novel about a man who kills ghosts for a living, or perhaps Tales of Uncle, the third book in my Tarkas series. 10. Where can people find more information on you and your projects? My website has many links and other info about my various projects, especially those that have been completed already. For projects in the works I blog about those extensively. That’s right, today’s post is about feedback. I just filled out a survey form today for the hotel we stayed at while we were in Chicago for the Printer’s Row Lit Festival. I filled out a similar one in February when we stayed at a different hotel in a different city for a different festival. It was very helpful that time. We got bumped from the rooms we asked for, and the room I got had a list of defects a mile long to it. So I listed them. Somehow the price of the room dropped by a considerable amount. Guess somebody checked. Maybe the last person to stay in that room didn’t fill out his survey. But from an authorial standpoint feedback is important as well. I know I love to get comments on my work, especially when they’re positive. I even like to get comments on my blog posts. I can tell you right now, there is no bigger enthusiasm killer in any business than to put your work out there and get the famous cricket sound effect in response. On a negative level, feedback is even more important. Editors do that for a living, after all, but so do book reviewers. I remember my first negative review, which seemed a bit over the top for my taste. The author seemed to be enjoying the mockery. But there was a point in there that was actually valid, and when I got around to re-editing the text I believe I removed it on my own, simply because of his comment. I decided he was right, although not necessaily for the right reasons. My first editor decided to simply remove a few pages of text without asking, a big no-no. But when I did my own re-edit, I decided she was right, although she was quite wrong to simply remove them. My friend Bryn has a lot to say on this topic too. Back when I was eagerly awaiting the publication of Unbinding the Stone, I also discovered a novel by one of my favorite authors, Tanya Huff, called Summon the Keeper. I loved it (which is why I just put a link there, on her behalf), and since I was thinking how I’d like to have my readers tell me they loved my books, I decided to take my own advice and tell her what I thought of her book. Which was a good decision, since she eventually agreed to give me a quote for my book, which in my opinion is one of the best quotes I’ve ever seen on any book, not that I make a habit of checking quotes on books. I put her wonderful quote, and all the other quotes I receive, on my own website, MarcVunKannon.com. Drop me a line, tell me what you think.